Let us weave you a tale of loyalty and heartbreak, about the time David Schwimmer wasn’t able to do Men In Black. The actor recounted the saga on The Hollywood Reporter’s Awards Chatter podcast, and the story goes something like this: During Schwimmer’s Friends tenure, he made a Miramax rom-com called The Pallbearer, opposite Gwyneth Paltrow. The studio mistakenly foresaw greatness and wanted to sign Schwimmer to a three-picture deal. 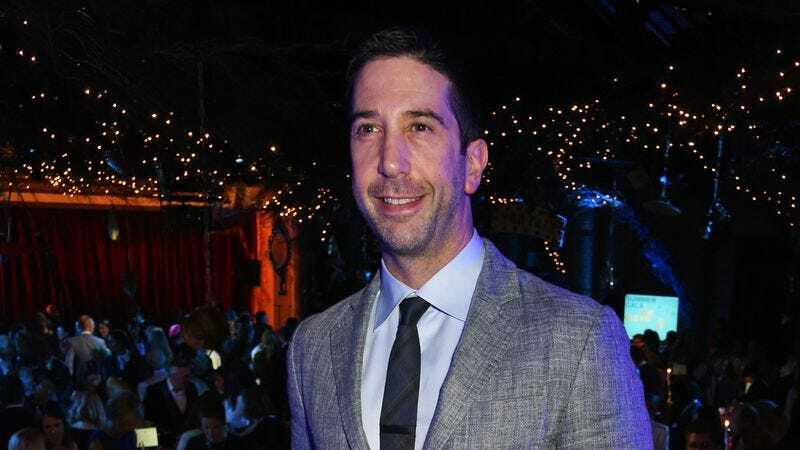 Being a wily fellow, Schwimmer negotiated that he would only sign on to that if they allow him to direct and cast his Chicago theater buddies, and he got his wish. Turns out, however, that production on that movie conflicted with Men In Black, and ol’ Schwims had to say no to the blockbuster in order to honor his commitment to his friends. You see, he’ll be there for you/them: “I just said, I can’t, these are my closest friends in the world, this is their first shot at a movie, my first shot at directing,” he recalled. “I can’t push because I have to go back to work on Friends in the fall.” So he went on to make Since You’ve Been Gone with members of the Lookingglass company, which we haven’t seen but we assume is a prequel to the Kelly Clarkson song. It aired on ABC and starred Schwimmer, Teri Hatcher, and Lara Flynn Boyle. As cruel fate would have it, Boyle would get her Men In Black moment in the sequel.